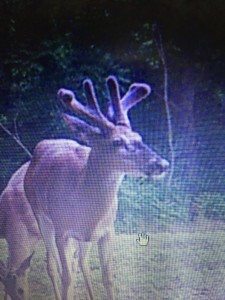 Long Brow’s rack had a major growth spurt! In July: Weekly update of Long Brow. His G2s are finally above his brows. 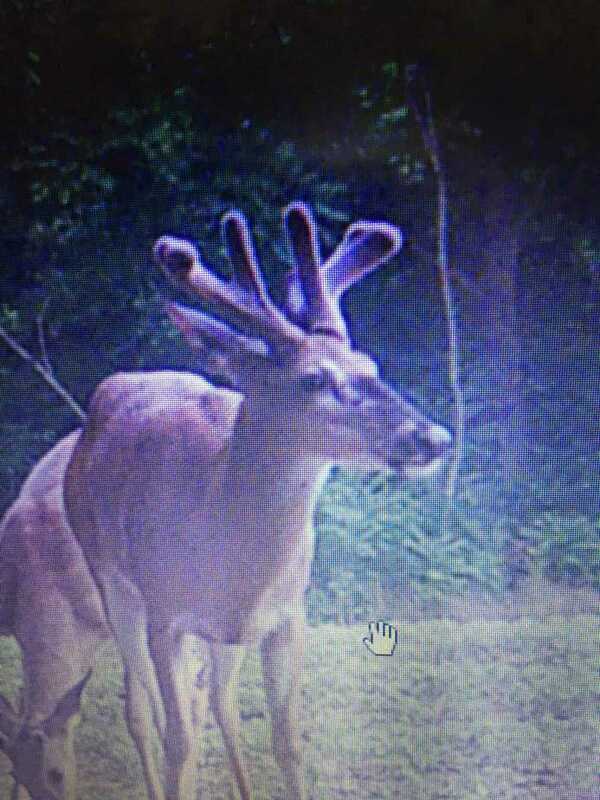 The parade of bucks showed up this week. I lost count of how many there are. Mostly 1 and 2 year olds. Had over 1,500 pics at 1 mineral lick. 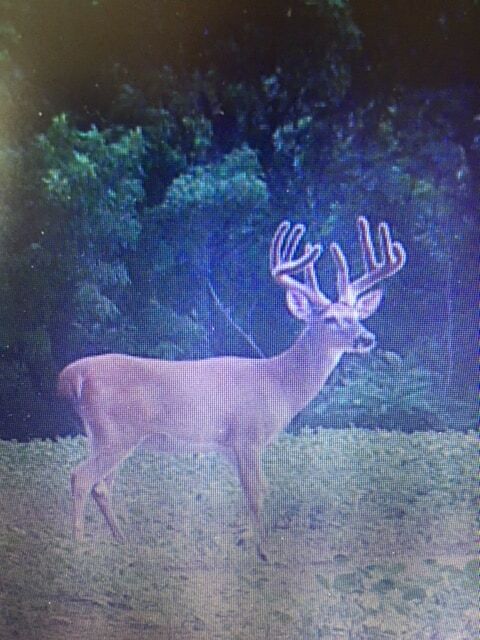 Here he is later in July, a great 8! 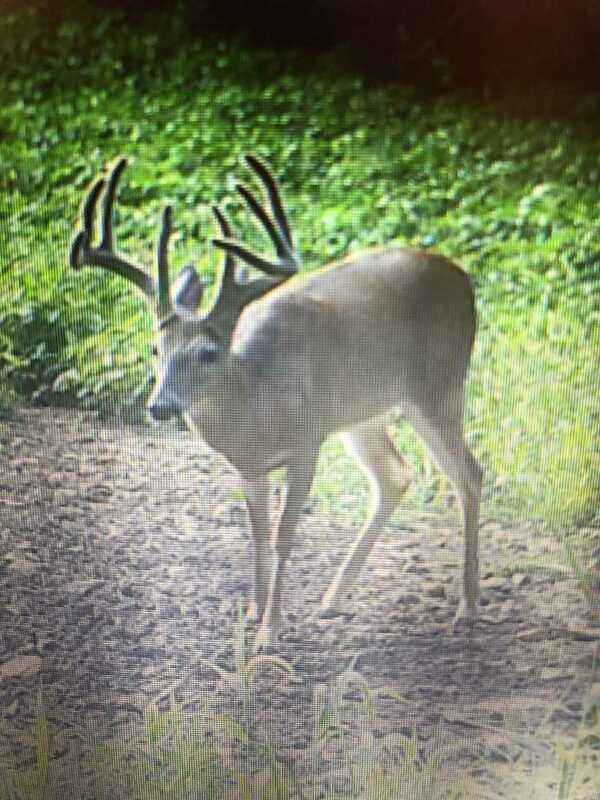 Will keep you posted when Long Brow sheds his velvet. Have a feeling that after that, we’ll see a hero shot of this fine buck with Dan or one of his family. 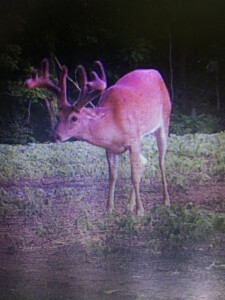 This entry was posted in Big Bucks, BigDeer, Deer Hunting, Trail Camera Photos, whitetail deer by admin. Bookmark the permalink. Thanks for sharing Dan. 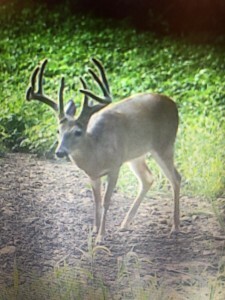 It’s good to let bucks walk on properties where you can be assured that they will make it through the season. Where I hunt, if you pass up Long Brow you would be kicking yourself….Long Brow would see a Long Bed (as in truck…) in my neck of the woods. Hopefully you’ll get your chance, Dan. Good luck!